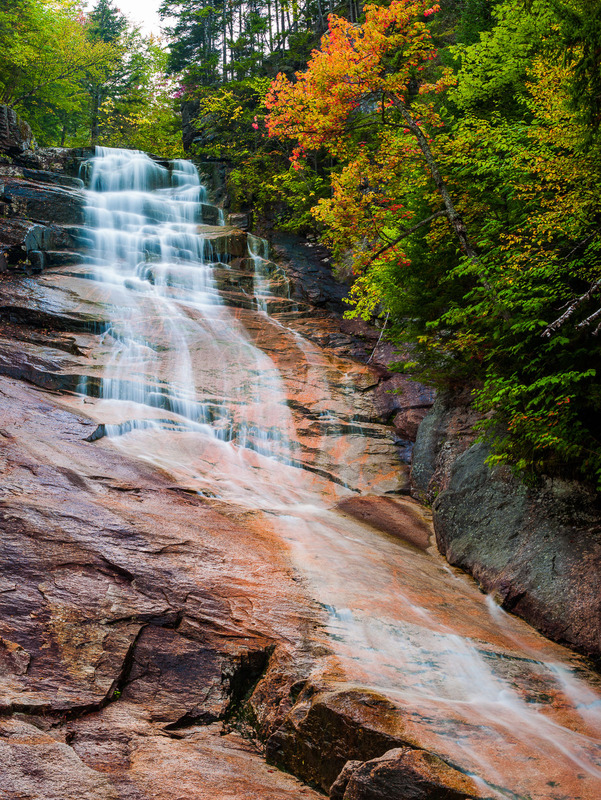 One of my favorite waterfalls in New Hampshire and my ear mark for the beginning of Autumn. Around the firest day of Autumn in September this tree over hanging the falls. lights up with color. I love mother nature! Photo © copyright by Lance B. Carter.